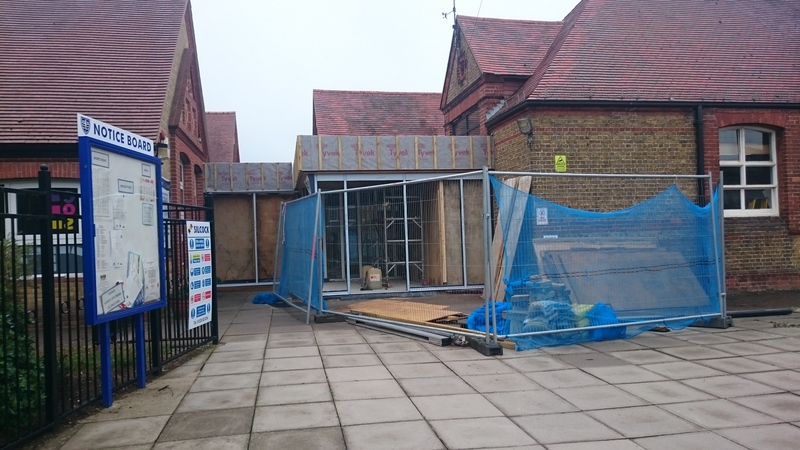 The Headteacher and staff at Herne Bay Junior School wanted to create a new entrance to their school. 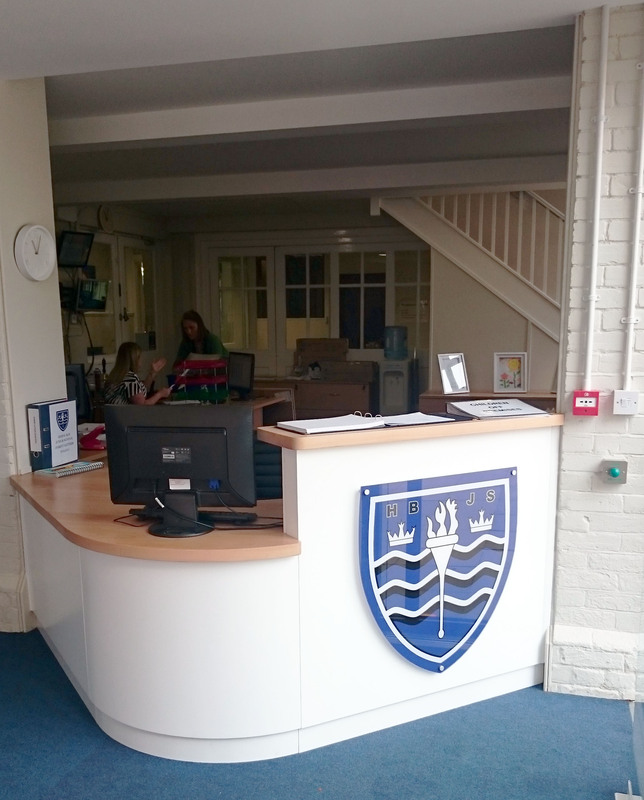 Their old main entrance was cramped, uninviting and not as secure as they felt it could be for staff or pupils. 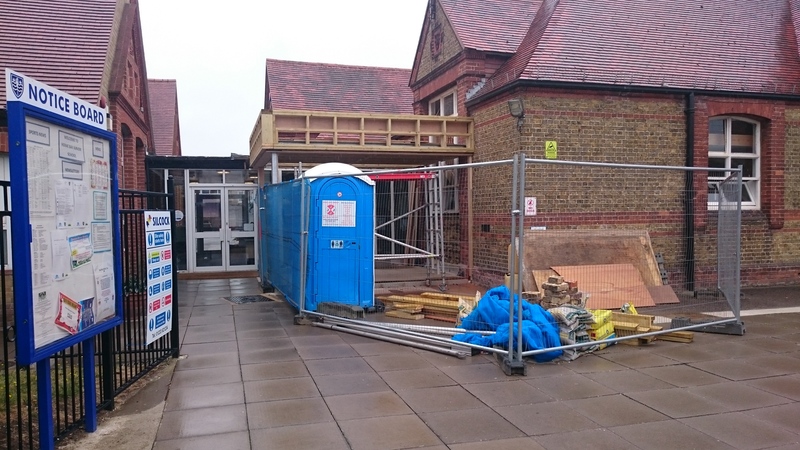 They wanted their new entrance to create an exciting and welcoming space to allow access for all and also to increase the security for staff and pupils. 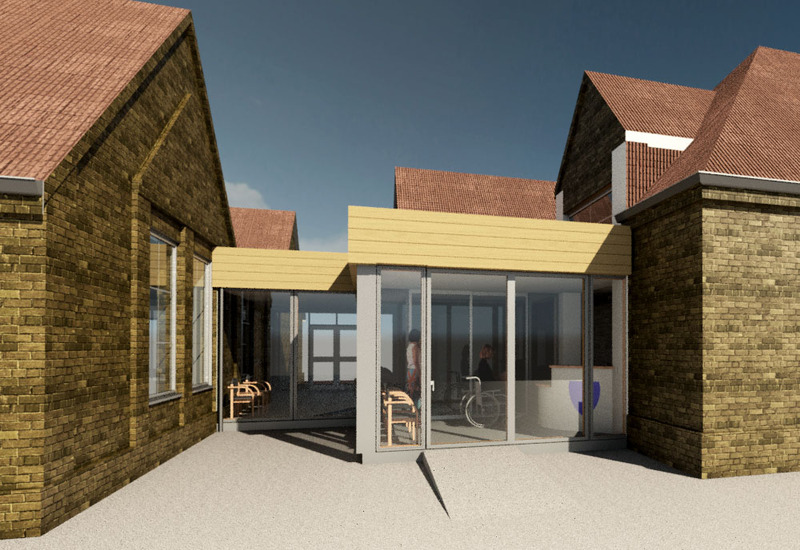 We worked with them to design an eye catching single storey contemporary entrance that highlights the way into the school. It’s mostly glazed and sits between the two older parts of the school. 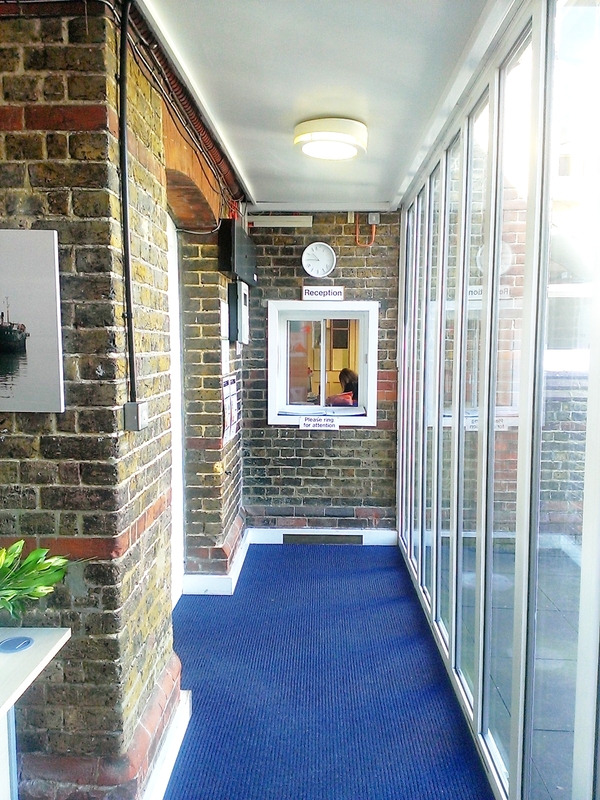 It brings the school office into the entrance foyer providing light and openness for staff and the space, creating a really welcoming entrance. 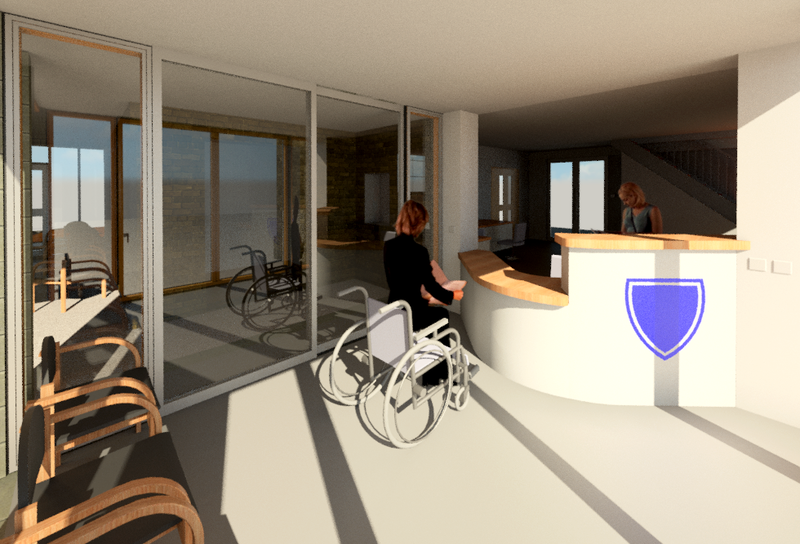 The new entrance is accessible for all; with a ramp, automatic doors, wheelchair accessible reception desk and an induction loop in the reception area. 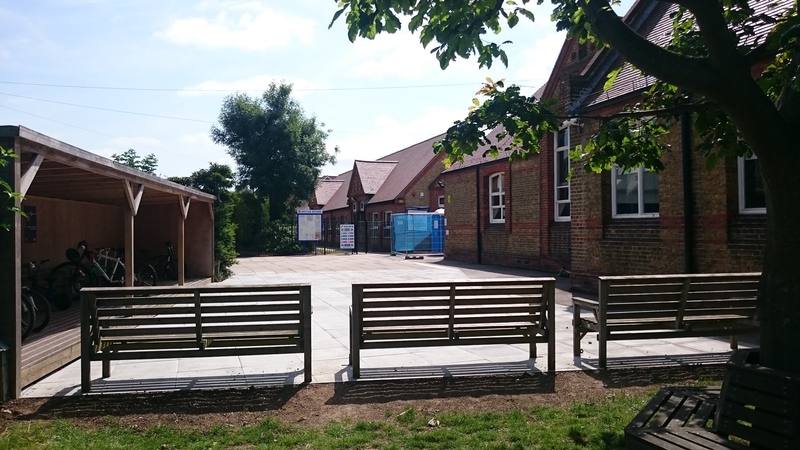 There is also a new landscaped area for waiting parents at the front of the school. 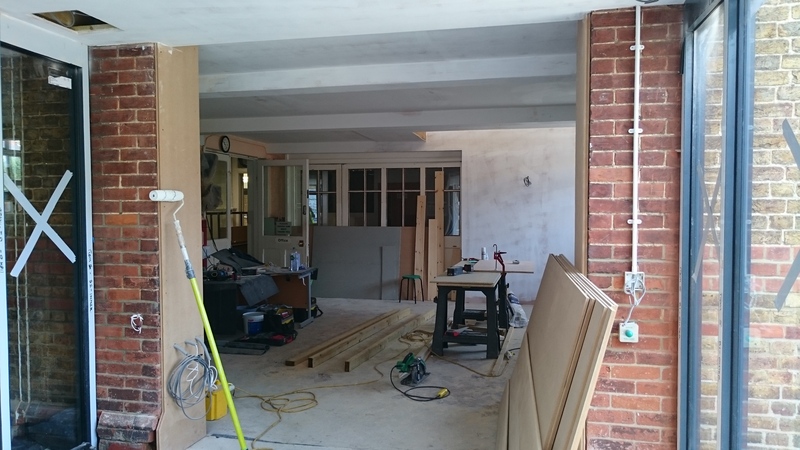 The work was undertaken over the summer holidays to cause minimal disruption and was built by Silcock Builders. The new extension opened in time for the new school term in September and was formally opened by Patrick Leeson, KCC Director of Education, on 20th October 2015. 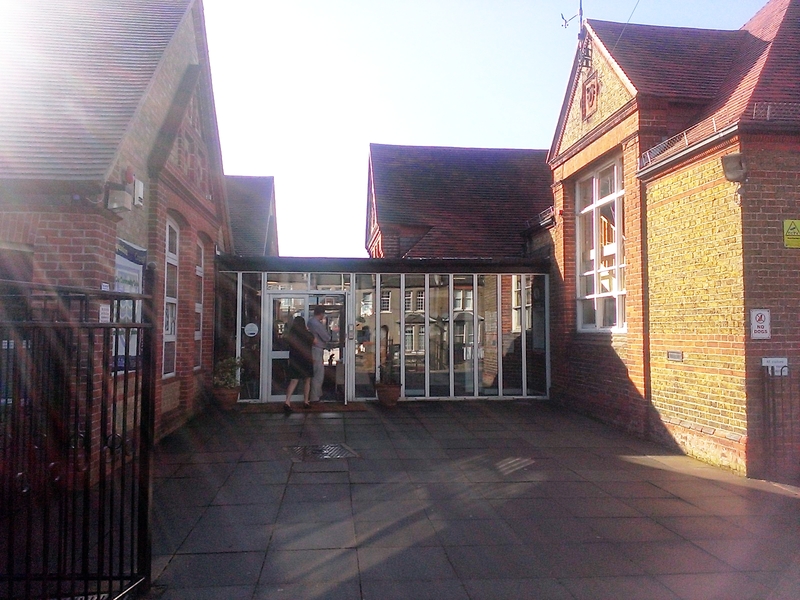 The school now have a welcoming new entrance to the school and staff, parents and pupils are delighted with the result. 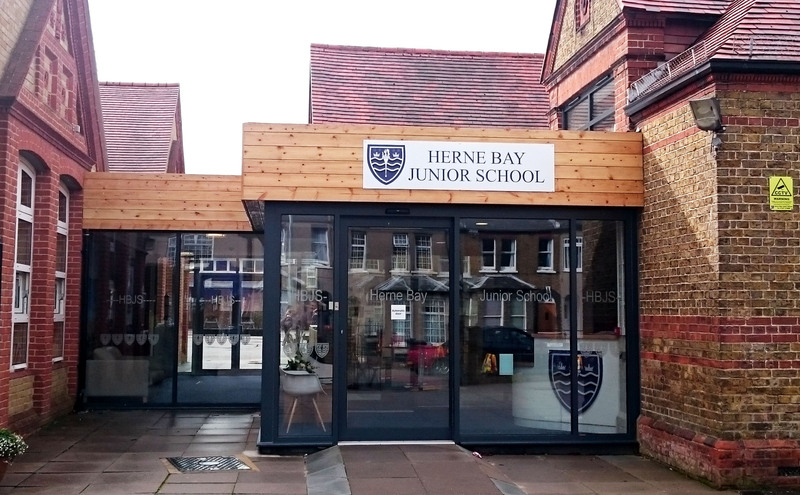 Herne Bay Junior School has been added to our list of organisations that can benefit from an hour’s consultation in return for a £40 donation, in this case the donation will go towards their planned Bay Centre that will house the Breakfast and After School Clubs.